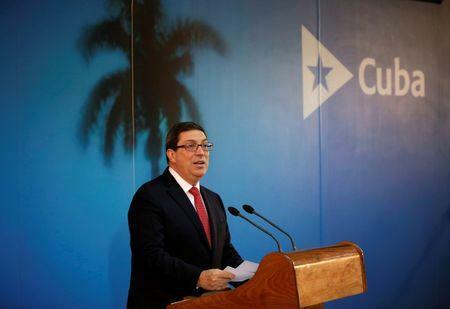 HAVANA (Reuters) - U.S. sanctions cost Cuba $4.6 billion last financial year, the government said on Friday, and called on U.S. President Barack Obama to do more to ease the pressure in the spirit of improved relations between the two countries. Foreign Minister Bruno Rodriguez made the comments at the launch of an annual campaign for a United Nations resolution condemning the U.S. trade embargo put in place after Cuba's 1959 revolution, but which has softened a little under Obama. 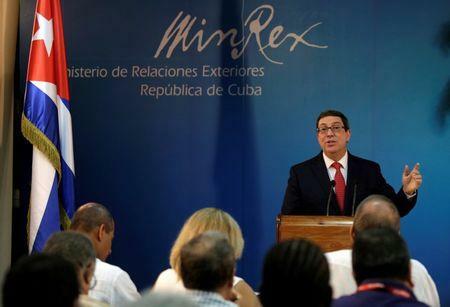 "The blockade imposed by the United States on Cuba persists," Rodriguez told reporters at a news conference. "The blockade is the main cause of the economy's problems and obstacle to development." Rodriguez said damages from April 2015 through March 2016 amounted to $4.6 billion and to $125.9 billion since the embargo's inception. This year's U.N. General Assembly vote, set for Oct. 26, will be the 25th time Cuba has marshaled international support against the embargo. 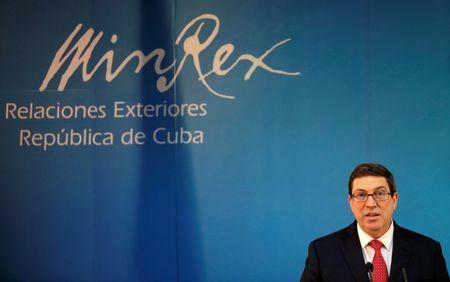 Cuba usually wins overwhelming support for a resolution which is non-binding. Since Presidents Obama and Raul Castro stunned the world in December 2014 by announcing they would work to normalize relations, the Cold War foes have opened embassies, restored commercial flights, opened travel options and negotiated agreements on issues affecting the environment, law enforcement, the postal service and communications. Obama, who visited Cuba earlier this year, has also gradually poked holes in the embargo through executive orders. Rodriguez said the advances so far were positive but "limited and superficial" in the economic sphere. "President Obama reserves broad executive latitude that he can use up to his last minute in the White House," he said. More than 100 U.S. business delegations have visited Cuba since 2014 and around 300,000 Americans are expected to arrive this year under looser travel restrictions. U.S. telecommunications companies have signed roaming agreements, a Carnival cruise ship makes regular stops and a Havana hotel is under U.S. management. But many U.S. companies say the embargo makes business nearly impossible. Obama has insisted he opposes the embargo but can do little more because only the Republican-controlled Congress can lift it. Many experts beg to differ and are urging him to act before leaving office in January. "There are approximately 12 regulatory changes that the Obama administration can implement today which would have enormous impact upon opportunities for United States companies," John Kavulich, president of the N.Y.–based U.S.-Cuba Trade and Economic Council, said.